Several months ago I wrote this column, and the Albuquerque Journal, our morning paper, finally published it today. 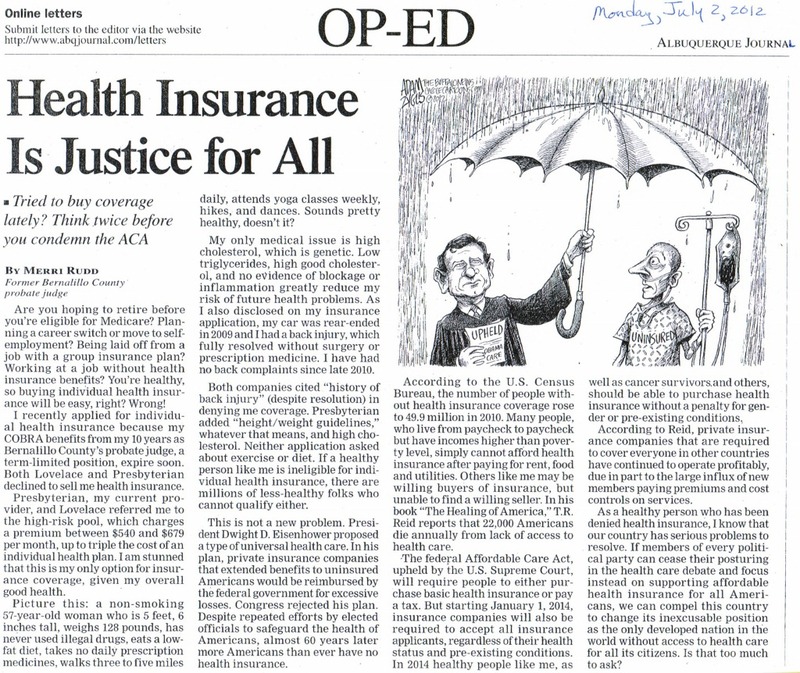 With the U.S. Supreme Court’s recent ruling upholding most of the Affordable Care Act, I guess the column was timely once more. Thanks for reading. Stay vigilant and insist that your elected officials of all parties make it easier for more people to obtain affordable health insurance and health care. Millions more people have their own stories to share. I hope America will listen. Posted: 07|2|12 at 9:29 am. Filed under: Uncategorized.